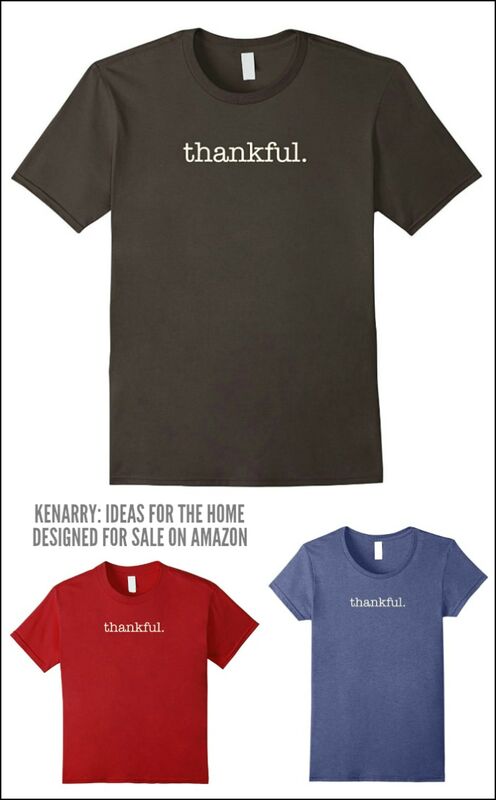 Be stylish and casual this season with Thanksgiving shirts for your family. These Thanksgiving family t shirts are designed by Kenarry for sale on Amazon. 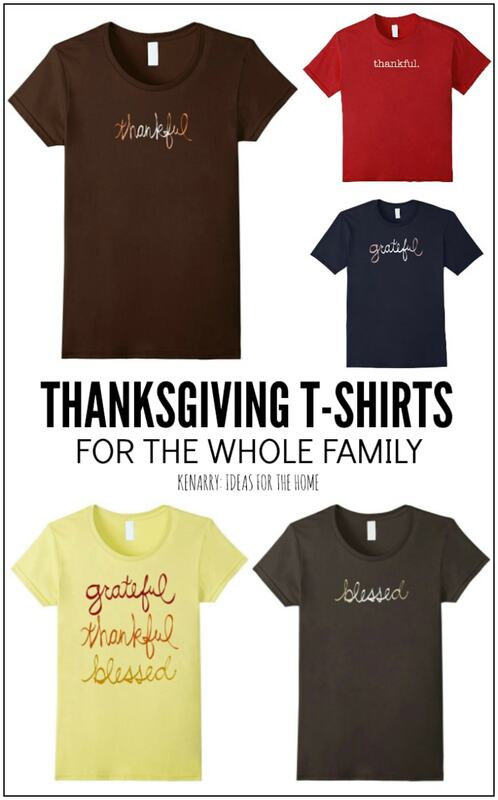 Go for a stylish, yet casual look this holiday season with Thanksgiving shirts for your entire family. Our new collection of fun and festive t-shirts is now available on Amazon. 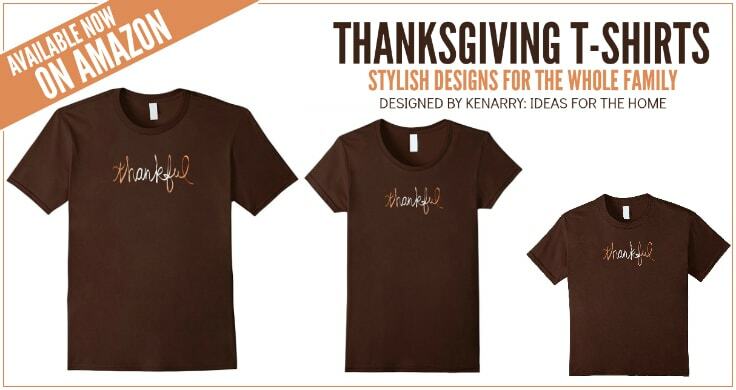 We’ve designed these family thanksgiving shirts so that you can attend your family’s Thanksgiving festivities in style! I had to order at least one of these shirts for myself to see the fit, quality and workmanship so I could tell you about it firsthand! 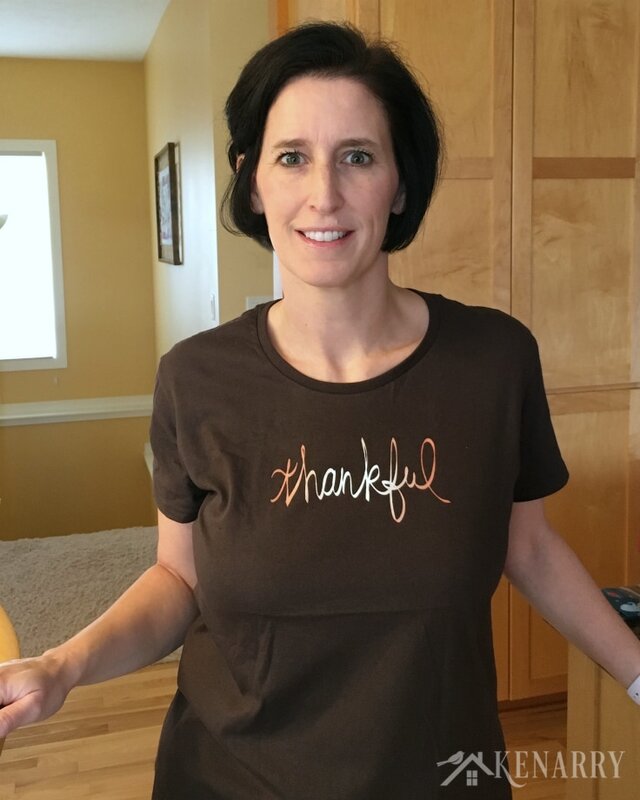 These Thanksgiving shirts are lightweight and SO soft. Each shirt is printed on demand by Amazon when you order it and has a double-needle sleeve and bottom hem. Solid colors, like my brown shirt, are 100% cotton. But some of “heather” colors are cotton/polyester blends. I had read from other reviews on Amazon that these shirts tend to run small so I ordered a size up from what I usually wear. It fits perfectly! 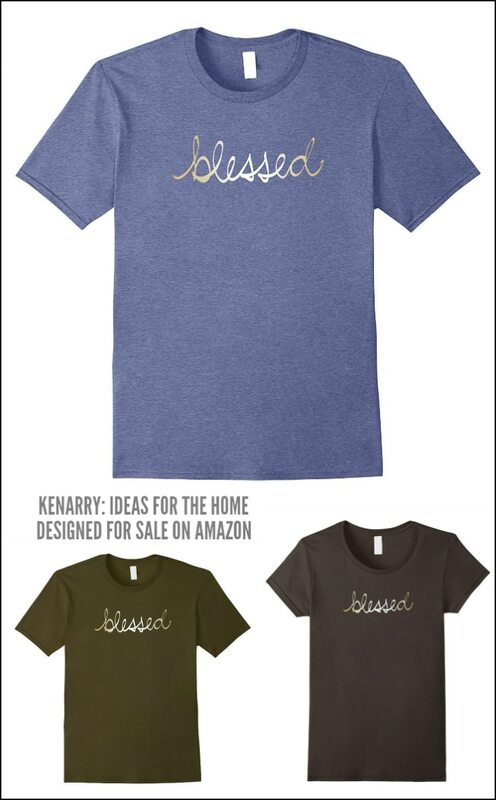 With Thanksgiving just around the corner, I thought I’d start our new line of Kenarry Apparel with shirt designs for this special holiday. When we’re stuffed with turkey, mashed potatoes and all the fixin’s, we might as well be comfy! And nothing says comfort more than a good ol’ t-shirt, am I right? 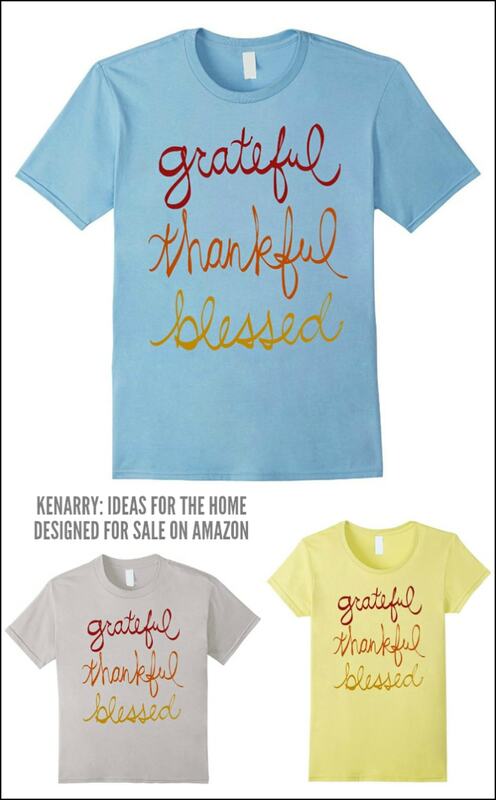 There are five different Thanksgiving shirt designs in this collection. They can be ordered in a variety of fits include a classic unisex or men’s size, a fitted women’s version or a pint-sized version for kids (youth sizes 4-12). Each design is available in five different colors as well. This gives you 25 different design and color combos for the whole family. Pick one combo and be matchy-match. Or pick a variety if you prefer a unique style for each person in your family. So what do you think of the new collection? Are there other designs you’d like to see us offer on t-shirts? I’m always looking for new ideas and would love to hear from you. Just leave a comment below or contact us via e-mail. And if you end up getting shirts for your whole family, please please take a pic and send it to me ([email protected]) or tag me on Facebook or Instagram. It would absolutely make my day to see how cute you all are in your coordinating Thanksgiving shirts! Stay in Touch & Get Exclusive Freebies! Want to be “in the know” whenever we announce new Kenarry Apparel designs? Sign up now to become a Kenarry Idea Insider to stay in touch and get our weekly newsletter. Plus as a special thank you gift, you’ll get a black and white 8″ x 10″ digital version of my hand lettered Grateful, Thankful, Blessed design. 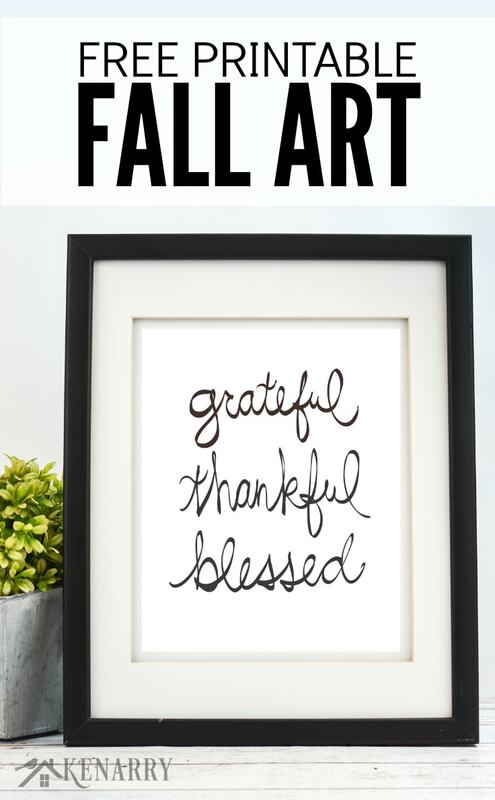 This free printable gift is available to download to your home computer for your personal use only. To get yours just sign-up below! Once you’ve confirmed your subscription, you’ll get immediate access to our resource library stocked with free printables, product discounts and other content that is EXCLUSIVE for Idea Insiders only.